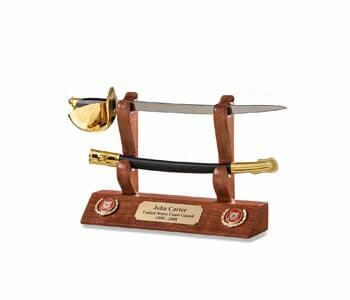 This beautiful piece of woodwork has been designed, and crafted, to display your Sword or Cutlass in a unique way. 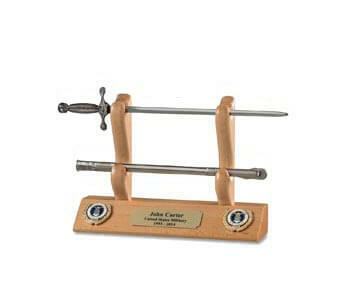 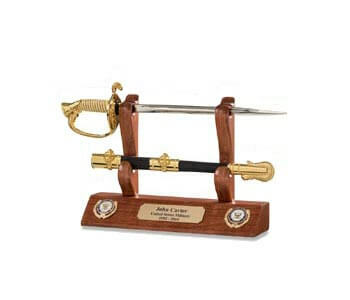 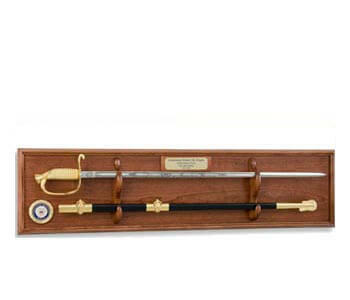 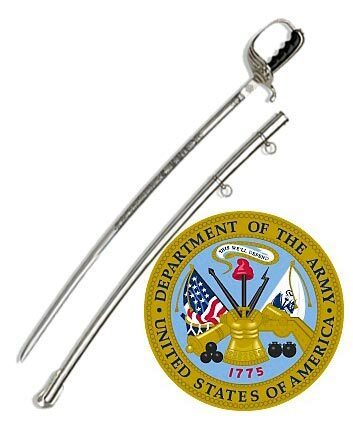 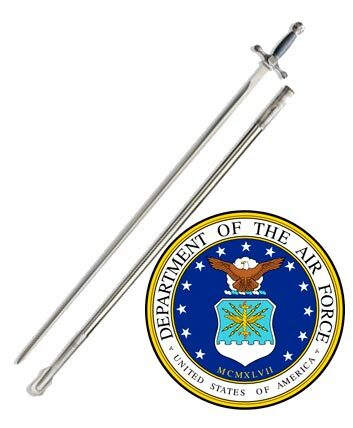 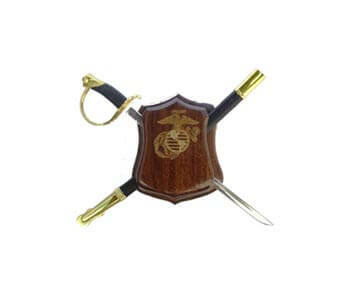 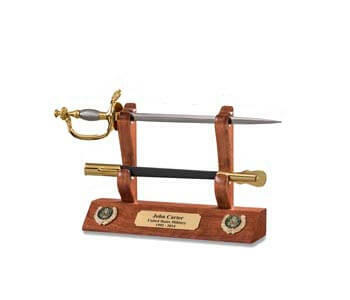 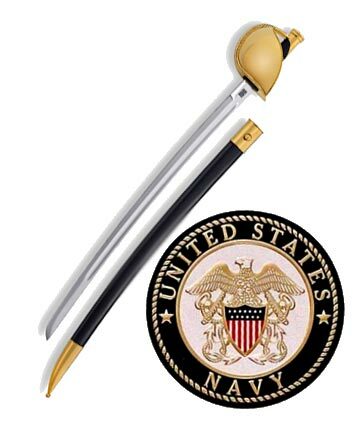 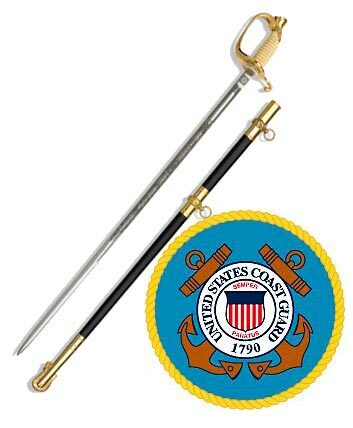 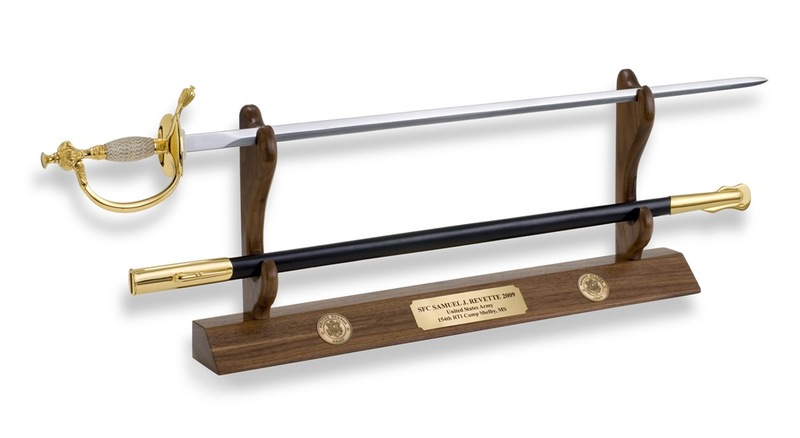 Now you can demonstrate your military pride by sharing your Sword or Cutlass at home or at the office. 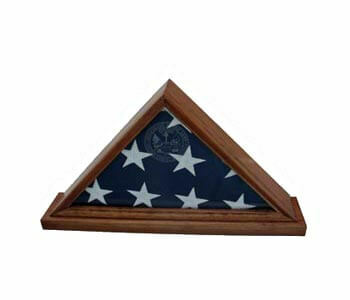 This display is crafted using solid Hardwoods. 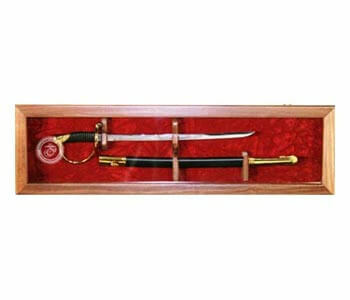 You have a choice of Cherry, Walnut, or Beach, all finished with numerous coats of furniture grade lacquer. 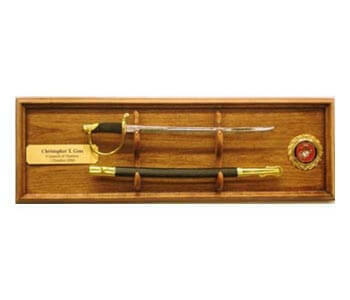 Each Sword/Cutlass Display includes two bronze coins, with your choice of military insignia, mounted to the beveled front of the display. 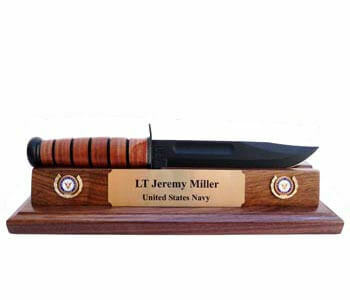 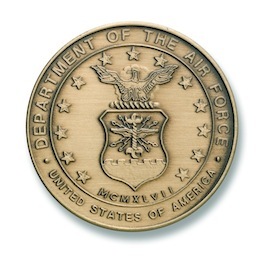 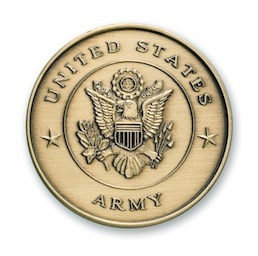 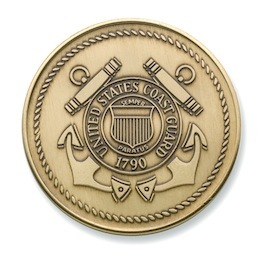 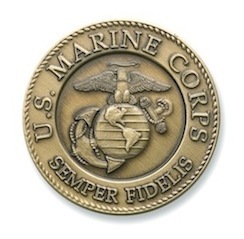 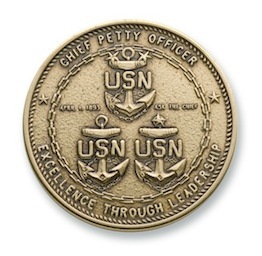 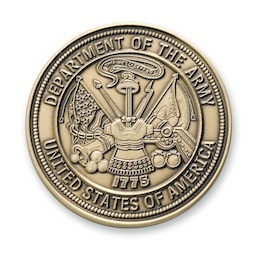 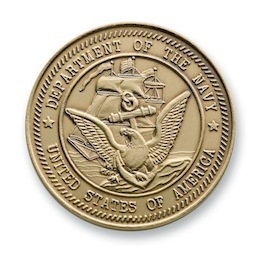 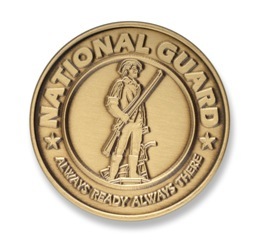 A personalized, engraved, brass plate is available as a added feature, for a reasonable charge. 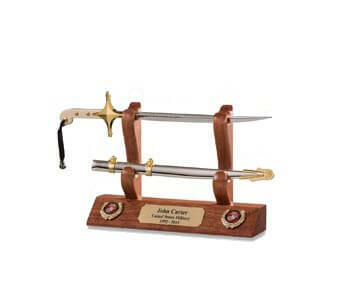 **PLEASE NOTE** This item does NOT come with an actual sword. 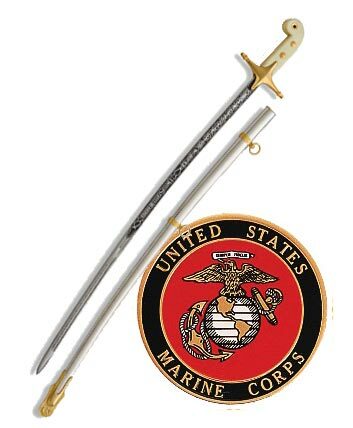 Sword must be purchased separately. 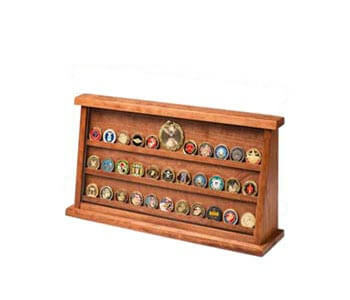 The dimensions are 24ï¿½ long by 4 ï¿½ï¿½ deep by 10 ï¿½ï¿½ tall and weighs 3 pounds.